Training our workforce is a high priority and we value our reputation as a safety-conscious contractor / sub-contractor. More so, we value the safety of our workforce and the safety of others. Our Health & Safety management is accompanied by Browns Health and Safety Consultants CMIOSH MIIRSM MaPS CDM-C who carry out frequent on-site health and safety audits and inspections and provide various construction courses for planning, supervision project management, health & safety plans etc. Browns also ensure that all matters according to Health & Safety regulation are correctly complied with and keep us up to date with any new legislation. 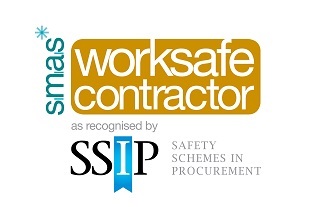 All of our workforce is 100% CSCS/CPCS qualified and we are members of the CECA and SSIP. Please see below for our current Health & Safety Documents and Insurances.